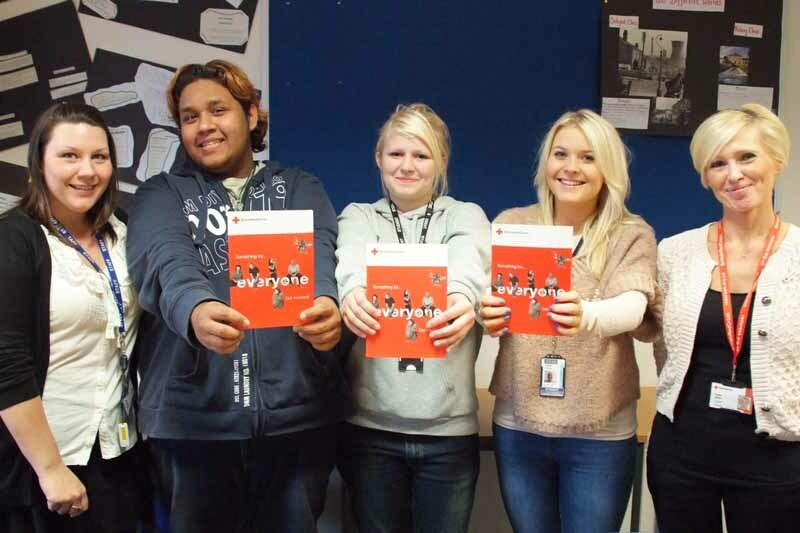 Students at Nelson and Colne College Sixth Form are proving that young people really do care, by signing up to volunteer with Help Direct and the Red Cross as part of the College’s extensive extra-curricular programme. The College enjoys an enviable reputation for providing outstanding education; part of this success is down to the diversity of courses offered and the opportunities provided for students to take part in extra-curricular activities. These opportunities enhance their learning, broaden their outlook and help them to develop into caring and well-rounded individuals whom stand out from the crowd when moving into university or employment. Currently, the College is offering its students the chance to take part in volunteer work with either the Red Cross or Help Direct. Students from the College’s broad curriculum have signed up to take part, from catering students wanting to cook for the elderly and homeless, Pre-Med students wanting to gain experience of working in health care settings, to Public Services students keen to broaden their knowledge of working with the general public. So far, more than 30 students have attended preliminary meetings with either the Red Cross or Help Direct to find out more about what is involved, and further meetings have been arranged for 30 plus students studying on the College’s unique Pre-Professional Programme for Medicine (Pre-Med) which aims to help aspiring doctors, pharmacists and vets gain entry to these prestigious careers. As part of the training with Help Direct, volunteers will undergo mandatory training for CAFs (Central Assessment Framework), Safe Guarding and Confidentiality, before being placed by the charity. Those volunteering with the Red Cross will be fully funded as they receive training in Safe Guarding, Equality and Diversity and First Aid. After one year of volunteering with the Red Cross, they can apply to volunteer on a range of projects across the globe!